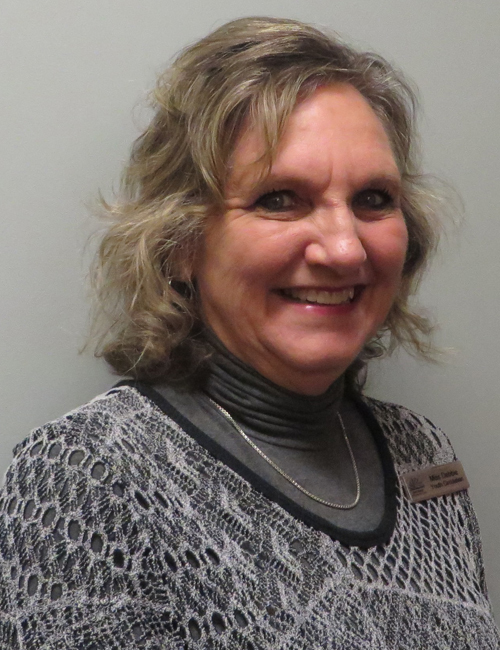 NORTH WEBSTER — Debbie Conner was recently recognized for five years of service at the North Webster Community Public Library. The recognition was announced by Library Director Helen Frank. Joining the library staff in February 2014, Conner is responsible for checking out and shelving books and materials, assisting with programs, organizing supplies, helping patrons and other assigned duties in the youth services department. Prior to joining the library staff, Conner was a financial institution data conversion specialist in the banking industry. A Syracuse native, she spent most of her professional life in the southeast region of the United States, returning to the Syracuse area upon retiring from the banking industry. “We appreciate Debbie’s professionalism and commitment to our young patrons and look forward to her continued service,” said Frank. The North Webster Community Public Library is located in the North Webster Community Center at 301 N. Main St., North Webster. The Library is open from 10 a.m. to 7 p.m. Monday-Thursday, 10 a.m. to 6 p.m. Friday and 10 a.m. to 3 p.m. Saturday More information about the library and its services can be obtained online at www.nweb.lib.in.us.